The comedian came out to introduce friend Erykah Badu's performance. 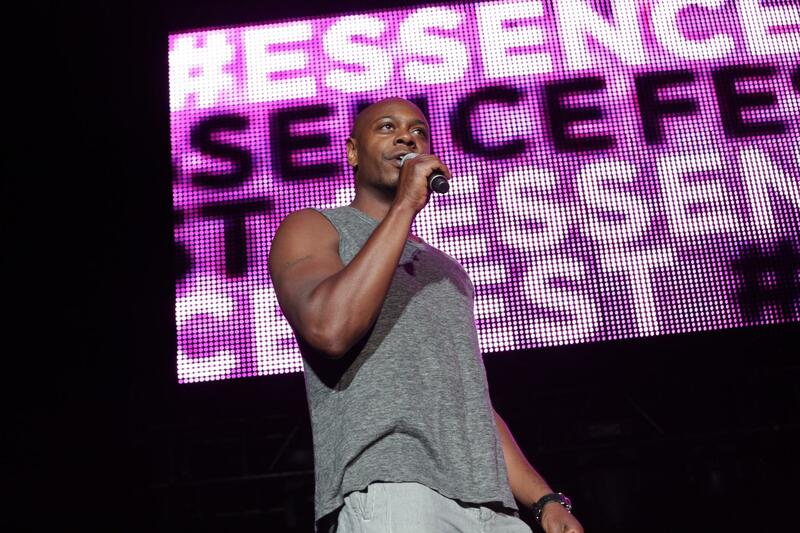 The crowd at the ESSENCE Festival got a huge surprise on Sunday when Dave Chappelle took the main stage to introduce Erykah Badu’s performance at the Mercedes-Benz Superdome on the last night of the festival’s 20th year. Fresh off a week of sold-out comeback shows at Radio City Music Hall in New York City, Chappelle came out to raucaus applause from the 45,000-plus audience. “Like this city, I will rise from the ashes,” joked the comedian, clad in a grey muscle shirt and slacks. After posing for photographers in the pit, the comedian praised Badu’s work ethic and talent as he recalled going on tour with her for two weeks. “Every night was exceptional,” he said.